Random House Books for Young Readers, 9780375843426, 40pp. A lyrical story about how looking back is helpful when you start looking forward. . . . The simple, elegant narrative combined with Sean Qualls’s evocative art makes for a wonderful read-aloud experience. 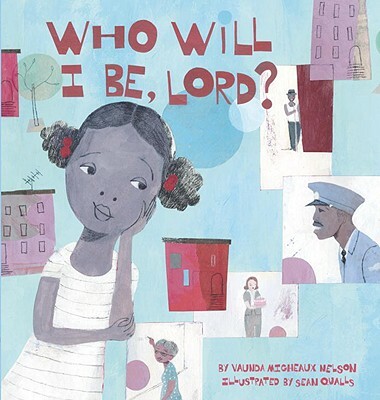 Vaunda Micheaux Nelson wears multiple hats in the world of children's books as an author and a youth services librarian at a public library in New Mexico. Her books have received numerous awards starting with her first book, "Always Gramma," a CCBC Notable Children's Trade Book in the Field of Social Studies. She lives in Rio Rancho, New Mexico. Sean Qualls has created evocative, powerful art for magazines, newspapers, advertisements, and children's books, including "Dizzy," "Powerful Words," "Phillis's Big Test," and "Before John Was a Jazz Giant." He lives with his wife and their two children in Brooklyn, New York.